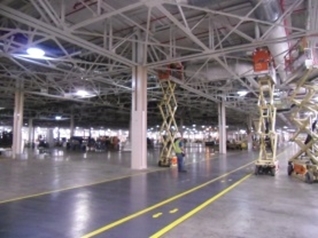 Industrial & Automotive Projects - Innovative Engineered Solutions, Inc. The PPO / CCO Expansion project scope was to add 125,000 Sq. 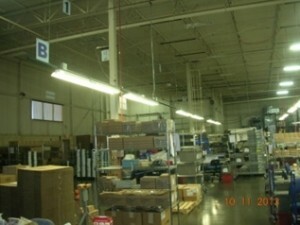 Ft. to the existing building and to renovate two floors (approximately 70,000 Sq. Ft. combined). 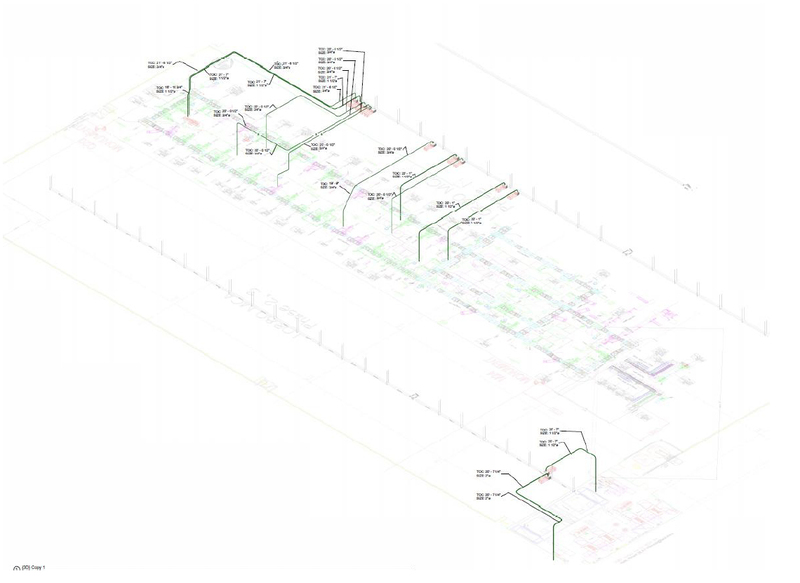 Collaborating with Walbridge and Slifco Electric, this Design Build Assist project included 3D BIM (Building Information Modeling) and Engineering Support during construction of the Electrical System. 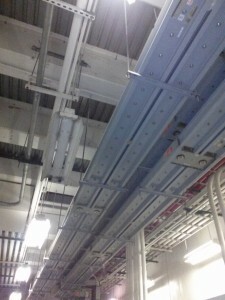 Throughout the duration of the project, IES extensively coordinated the Fire Protection System with Conti Corporation, the Process Piping with Universal Piping Inc., the HVAC Ductwork with Dee Cramer, and the building roof and steel framing with Bristol Steel. 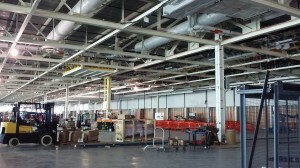 The Livonia Plant Refurbishment project goal was to completely renovate approximately 175,000 Sq. 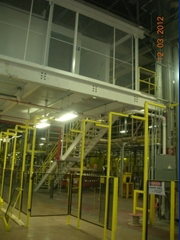 Ft. On this Design / Build project, IES worked with Walbridge, Slifco Electric, H.M. White, Cardinal Contracting, and IPS to renovate the Heat Treat and Main Control Assembly and Air Test areas Phase 1 and Phase 2. 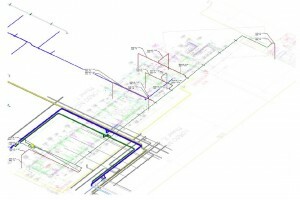 Our scope of work included 3D BIM (Building Information Modeling) and Construction Engineering Support to install new 480V Bus Ducts and Machines Power Drops, Washers Exhaust, and Compressed Air Piping Systems. 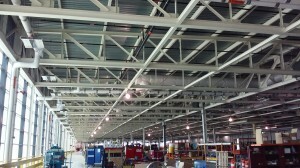 IES coordinated closely with Progressive Mechanical, Partlan Labadie, and International Piping Systems. 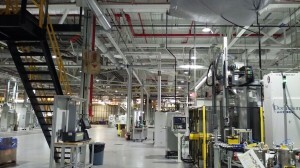 This project encompassed the installation of two new Press Lines in the Sterling Stamping Plant. 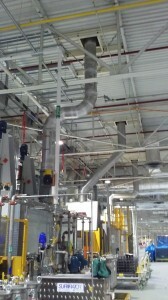 Also, a new Double Ended Substation and new Roof-top Air handlers were installed. 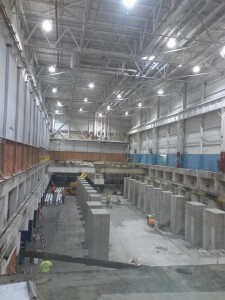 IES worked closely with the FCA Facilities Engineering team, Aristeo Construction, and the MEP Subcontractors, Motor City Electric and Progressive Mechanical, for overall project coordination implementation, follow-up, and reporting during construction. 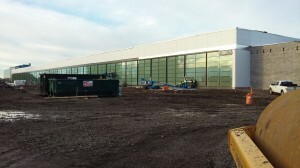 In collaboration with Aristeo Construction and Slifco Electric, this Design/Build project scope was focused on providing a new high efficient Lighting System Layout and Controls for the 84,000 Sq. 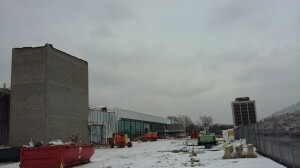 Ft. Tailgate Building and 40,000 Sq. Ft. Stamping North building renovation. 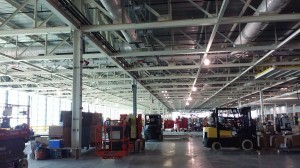 The Paint Shop addition Design-Build project goal is to install state of the art automotive paint technology. 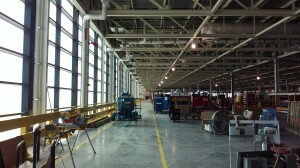 IES provided Electrical Engineering design for the two new Paint Shop levels each at 40,000 square foot each. 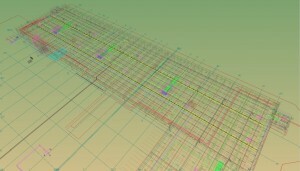 First, the reroute of the two existing 15kV Primary Cables and Trestle had to be accomplished to allow for the new structure to be built. 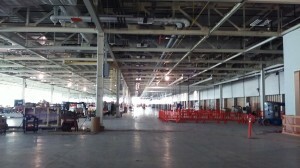 Second, the Power Distribution for the new production line had to be designed, taking into consideration that the second level had two large floor openings for robot access. 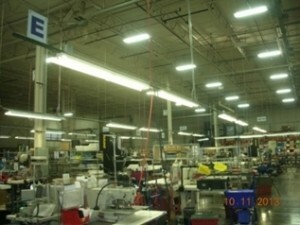 The new design also included new LED & HID lighting systems, in addition to and expanded Fire Alarm system. This Design-Build project included detailed coordination with Walbridge, Gallagher-Kaiser, and Gala & Associate. The Second and Third Floors complete renovation project goal was to create two new Call Centers. Each floor wielded 45,000 square foot of space, allowing for an open workstations layout, collaboration / conference rooms, break-lunch space, and IT and Electrical rooms. 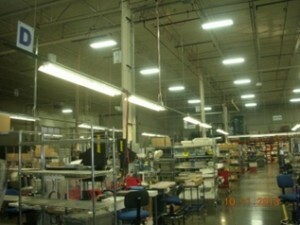 IES worked with Commercial Contracting Corporation to provide a Design-Build package. 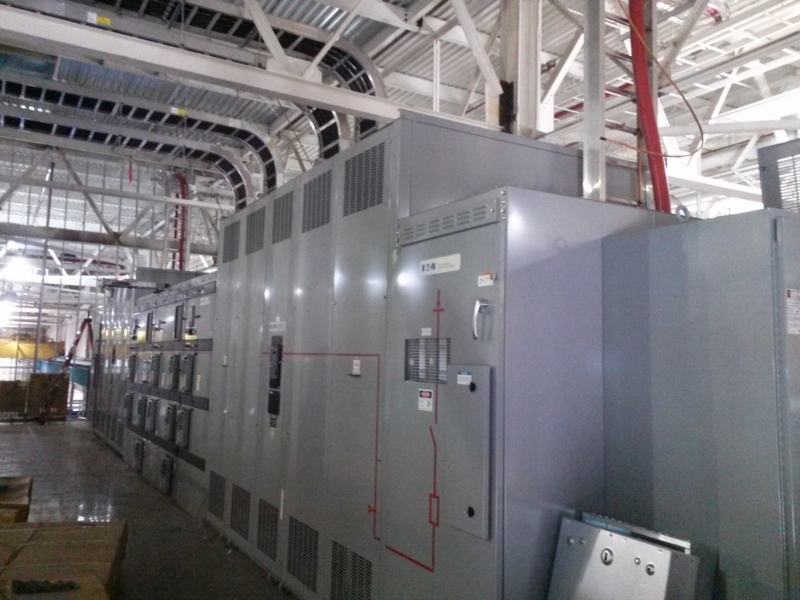 The new installation included a new Emergency Generator Power / ATS / Flywheel UPS System, Power Distribution, Lighting, Security, Voice & Data Distribution, and new HVAC systems. 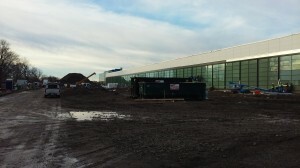 The Marshalling Building (shipping & receiving) and the Steel Fabrication building were interconnected via the new Traffic Way addition. IES teamed up with Ideal Contracting and Barton Malow, for a Design-Build project, to develop a complete construction document package, including Architectural, Structural, Civil/Surveying, and Mechanical engineering. IES worked closely with both the GM Facilities team and the City of Flint Building Department to successfully go through the Code Variance Process. 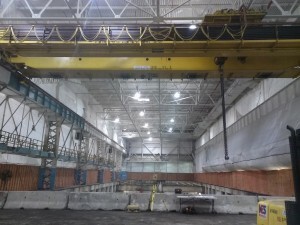 The new 45,000 square foot Traffic Way ensured continuous flow of raw steel from the Marshaling Building to the Press plant, ensuring that the final product will be shipped out in a reliable and timely fashion. 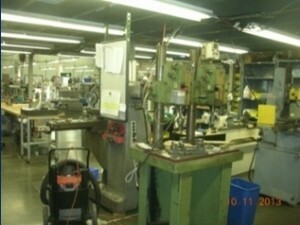 A large number of prototype manufacturing machines were to be relocated from the Design Center Metal Shop to the Fab Shop in Manufacturing `A’ building. 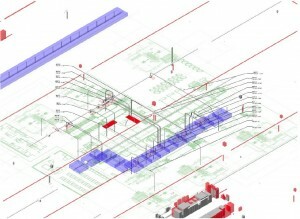 IES worked with Ideal Contracting and Slifco Electric, under the PDPM Process, to develop the Construction Installation Drawings package. 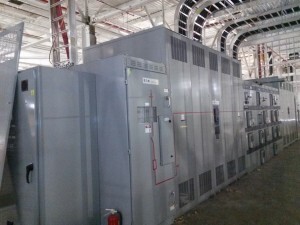 The project included the field verification and evaluation of the existing 480V system spare capacity to ensure adequate power feeds to various equipment requiring variable voltages. 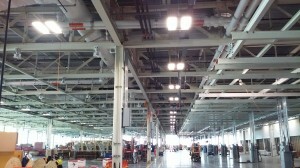 Plant 14 and Plant 14 East required a Lighting System Upgrade. 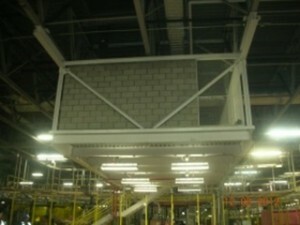 IES designed a new Emergency System to ensure adequate life safety code compliance. The challenge was to evaluate the existing Emergency System power spare capacity and create viable solutions to upsize it in order to meet the real Emergency System demand. 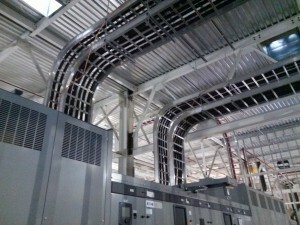 This project was Design-Build with Ideal Contracting while teaming up with Superior Electric for a complete and successful package installation. 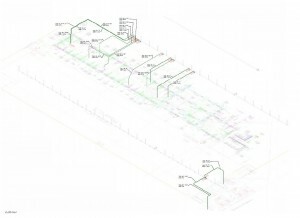 IES scope was to design a complete Power Distribution and system interconnections to install the Electric Vehicle Supply Equipment (EVSE). 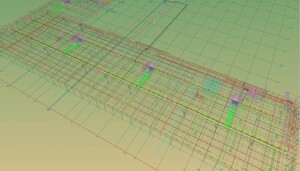 Each system is to include 6 to 12 Electric Vehicles Charging Stations based on the site requirement. Canopy installed Solar Panels were installed to supply up to 50% of the power needed to recharge the Chevy Volt used by GM employees and visitors. 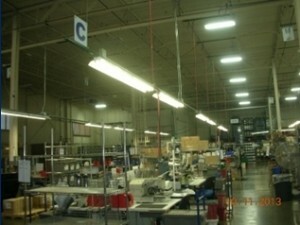 The systems were designed for multiple sites, including the Warren Technical Center, Flint Engine Plant, Pontiac Campus, and Warren Transmission. 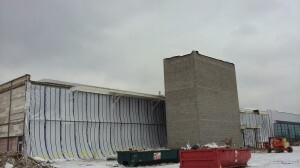 IES worked on this Design-Build project with Walbridge and a number of contractors including Slifco Electric, Partlan-Labadie Sheet Metal, H M White, and Cardinal Contracting. 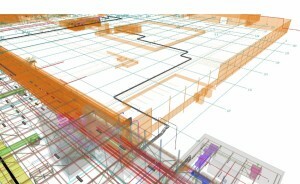 Our scope was to provide Engineering and 3D BIM Construction Support. 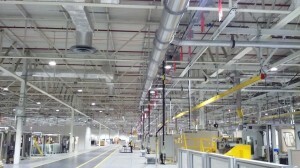 This includes Power Feeds to 16 Roof-Top-Units AHUs, Exhaust Stacks for 35 equipment production machines, and the installation of the new Assembly Line Equipment. 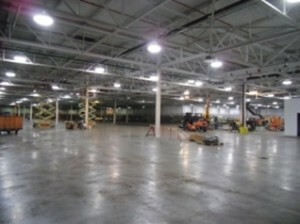 IES worked with the Ford Facilities team to upgrade the utility and emergency lighting system and controls in the DEW Area. 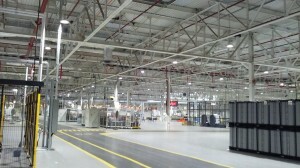 All power circuits and controls had to be seamlessly integrated into the newly renovated lighting system in the large plant area of work. The available power spare capacity was carefully reviewed and calculated to ensure proper and safe installation. 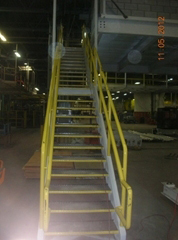 IES provided Structural Engineering to design two mezzanine stairs in the general assembly area. 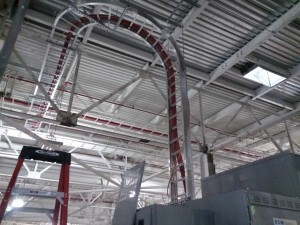 The challenge was to rework the schematically designed stairs and create Construction Installation detailed drawings around the newly installed overhead conveyors. 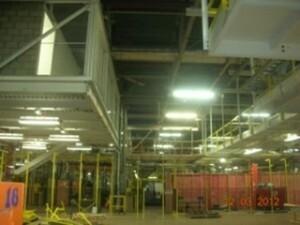 This project was a Design-Build with Stenco Construction. 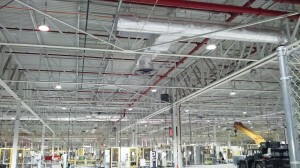 IES provided complete Lighting, Power Distribution, and Voice & Data design for the Detroit based Chrysler Jefferson North Assembly Plant - South Body Shop. The installation included an electrical system upgrade for the open Display Area, Men & Women Locker Rooms, a Conference Room, and private offices. 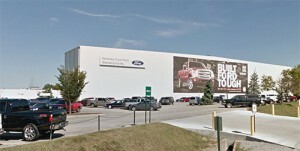 The Macomb based Tier 1 automotive supplier experienced a need for production increase which triggered a review of the reliability of the existing Power System. IES developed a Power Study, evaluating the existing Power Spare Capacity in regards to the proposed additional manufacturing loads. 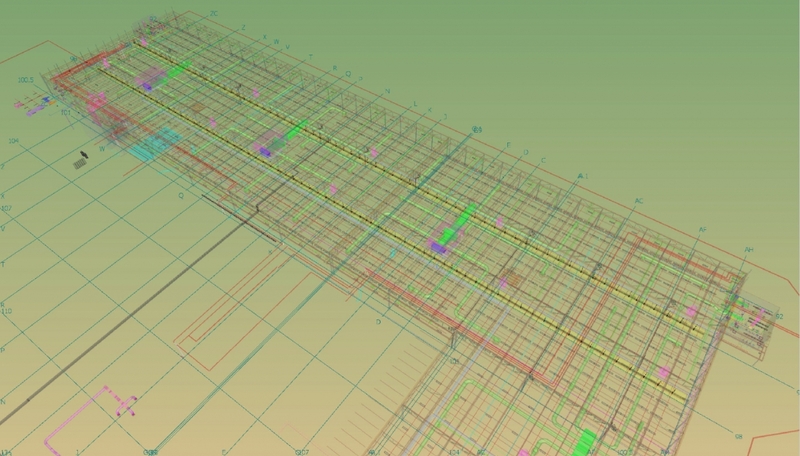 This project included a thorough field verification of the existing machines power consumption, next updating the original building One-Line Diagram Power System, and a detailed Suggestions and Recommendations along with the Proposed Solutions. 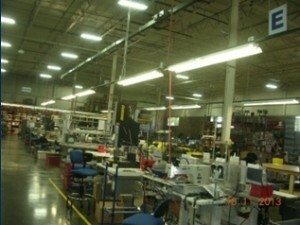 Fido Corporation’s injection molding operation had plans to expand production in their new location. 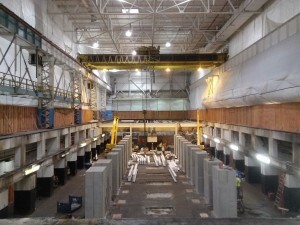 IES was responsible for providing a Structural Study to evaluate the existing Mezzanine, which was to be used for storage. The roof of the building addition, which housed the operations’ large compressors, needed to be structurally redesigned as well. 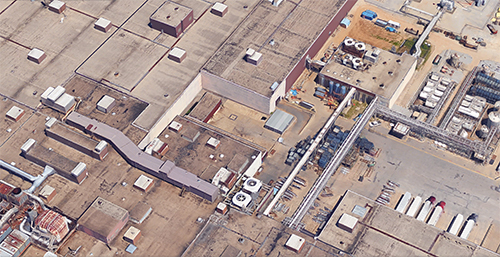 Fido Corporation also requested that IES provide a preliminary Study to evaluate the Cooling Water System Lines serving the Injection Molding machines during peak operation using the existing Water Cooling Tower.